The CMBA profiles two classic movie blogs per month, on the 1st and 15th. Today we're celebrating Fritzi from Movies Silently. Reading the blog Movies Silently is like visiting an amusement park. If you plan to drop by, it's guaranteed you'll end up spending the day. Better bring a lunch. Fritzi's site is an adventurous look at silent film, as explored through reviews, Top 10 (or Bottom 5) Lists, amusing silent film gifs, and even vintage recipes. 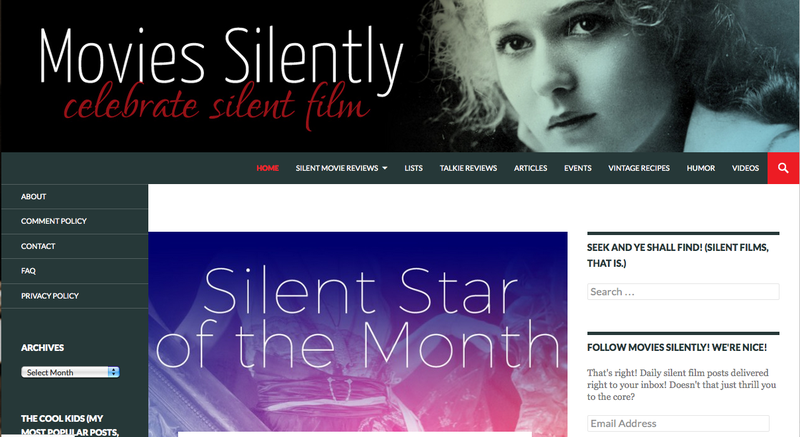 It is a celebration of silent film in all its forms – the serious, the witty, the tragic. It's also a groundbreaking site that isn't afraid to attack cherished misconceptions. "My review of The Cossacks is an example of what I most want to accomplish on my blog," says Fritzi. "It represents six months of research culminating in an epic takedown of a reasonably beloved film and an expose of its shameless plagiarism. Looking below the surface was rewarding in this case because it allowed me to both dig deep into film history and expose an injustice that has been ignored for almost eighty years." You can read Fritzi's review HERE. The CMBA profiles two classic movie blogs per month, on the 1st and 15th. Today we're toasting Annmarie from Classic Movie Hub. 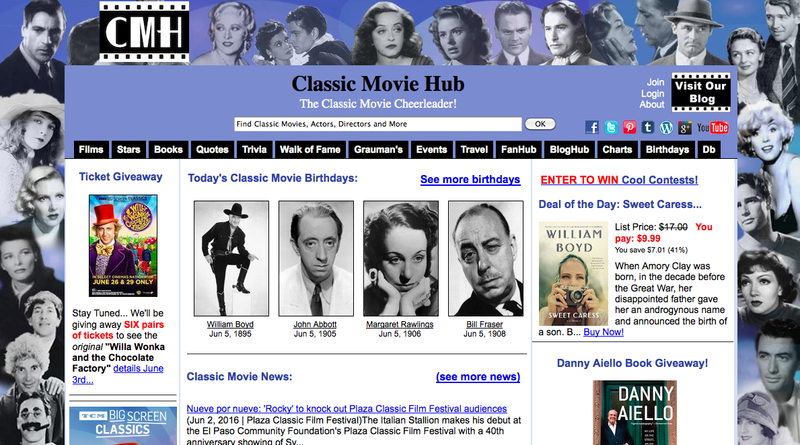 The tagline for Classic Movie Hub is "The Classic Movie Cheerleader!" 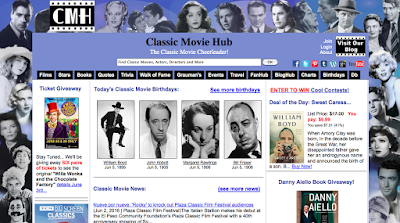 Classic Movie Hub features an intriguing blog that delves into a number of eclectic topics. Annmarie, the site founder, is a dedicated researcher who delights in the "odd things you can discover when you're blogging." For example, Annmarie found buried treasure while working on a post about Kathleen Howard for the 2013 Funny Lady Blogathon. "I chose Howard as my subject simply because I adored her in It's a Gift," says Annmarie. "Imagine my surprise when I started my research and learned that she was successful in three distinctly tough and impressive careers: opera singer, fashion editor, and actress. It was like hitting pay dirt -- finding mp3s of her voice, newspaper articles about her career moves, and a book she had written about singing. Such wonderful discoveries about an actress that I only knew as W.C. Fields shrewish wife!" You can read Annmarie's post HERE.